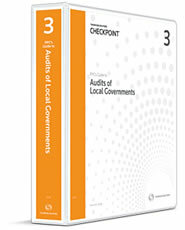 Local government audits require specialized guidance and tools to address their unique audit and accounting requirements. PPC’s Guide to Audits of Local Governments provides the audit programs, checklists, confirmations, and auditor’s reports you need to correctly perform these audits in an effective and efficient manner, from regular GAAS audits to Government Auditing Standards (Yellow Book) Audits to Single Audits. References to the underlying professional literature. PPC’s Guide to Audits of Local Governments is authored by respected experts with decades of practice experience, ensuring that you are receiving the most comprehensive and relevant guidance possible.